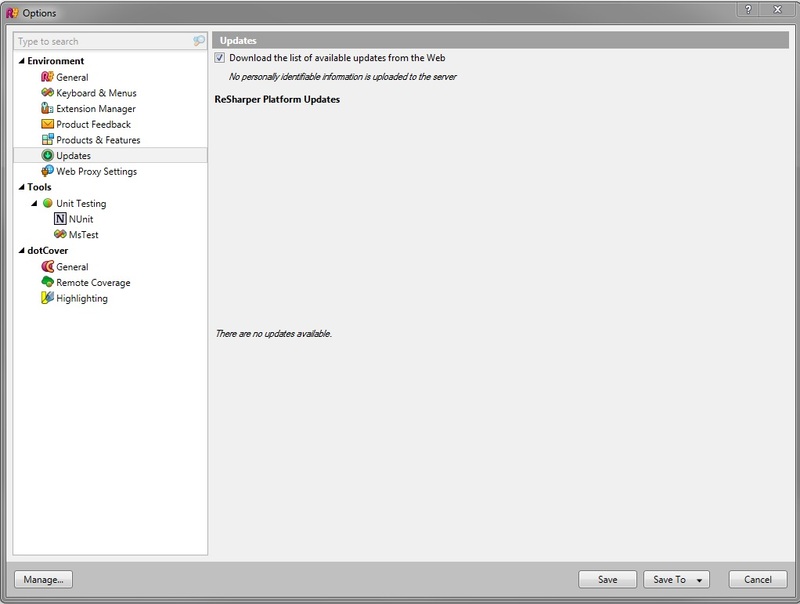 I use it integrated to Visual Studio 2012 (Version 11.0.61030.00 Update 4). I am working with C#.NET 4,5. Could someone help me turning off the auto-formatting introduce with Resharper please? And what's under the "Copy >>" button. JetBrains DotCommon Core build 1.0.20141219.120183 on 2014-12-19 12:59:24Z. JetBrains DotCommon.Psi Navigation build 3.0.20141219.130131 on 2014-12-19 13:13:19Z. JetBrains DotCommon.Psi UnitTesting build 3.0.20141219.130131 on 2014-12-19 13:13:19Z. JetBrains DotCommon Remotable build 1.0.20141219.120183 on 2014-12-19 12:59:24Z. JetBrains DotCommon Timeline build 1.0.20141219.120183 on 2014-12-19 12:59:24Z. 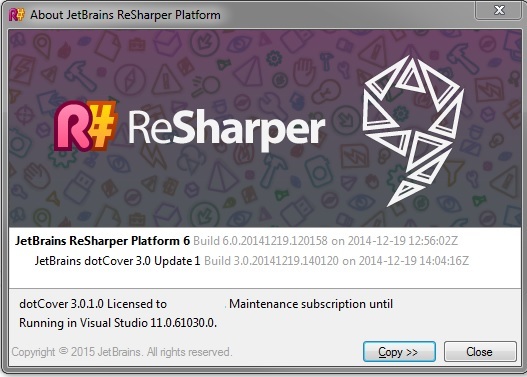 JetBrains DotCover Core build 3.0.20141219.140120 on 2014-12-19 14:04:16Z. This is a bug, we have the corresponding issue in our issue tracker: https://youtrack.jetbrains.com/issue/RSRP-432556 Please follow the request to be notified when the problem is solved. Also, you can try the workaround mentioned in the request. Indeed it helps a lot ; even though it looks like it's disabling all auto-formatting features.